We believe you are the best advocate for your own health and wellness, and this extends to your furry family, too. 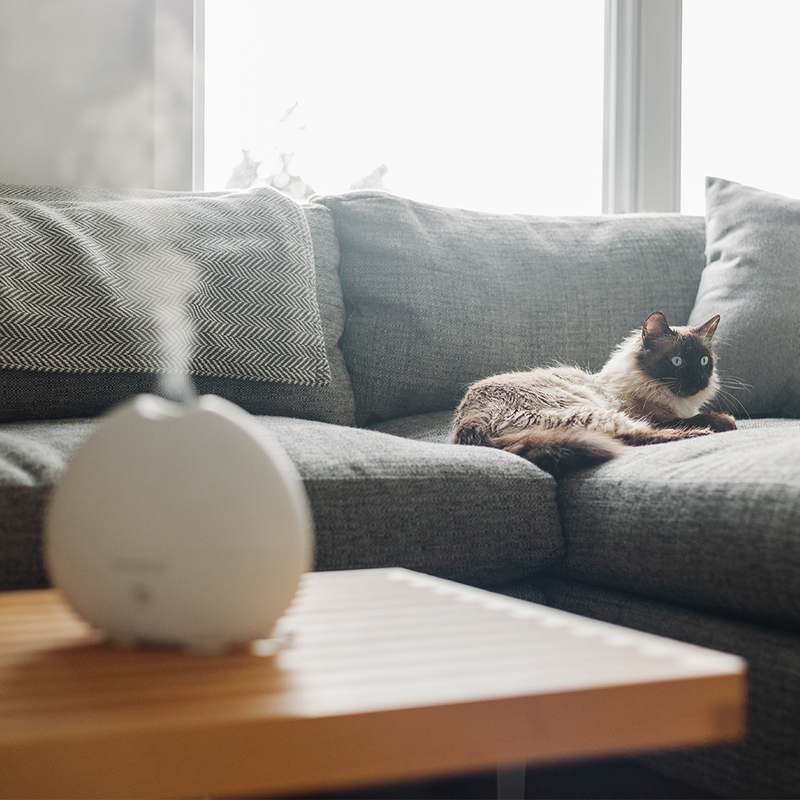 While every home can benefit from the power of essential oils and essential oil blends, it’s important to keep all members of your household in mind, including cats, dogs and any other animals that share your indoor environment. Essential oils, although beneficial to humans, can potentially be toxic to our pets. What’s safe for you might not be for them. Before using essential oils on or around your furry friends, it’s important to speak with your veterinarian for advice. Ultimately, you and your animal health specialist know your pet best and together, you can make the best decisions for them. Read on for more on how to use essential oils around pets. You can also reference our full FAQ for answers to specific questions. We’re always available to connect and continue the conversation. Give us a call or text us at 1 (877) ASK-SAJE (1-877-275-7253), send us a live chat, or email us at hello@saje.com. Our team is here to help. Pay attention to how your pet reacts and take note if they appear to be uncomfortable. If you notice any discomfort or agitation, move them to a well-ventilated room and stop using the product. If your pet appears to be in distress, contact your vet right away. Make sure your pet is always able to leave the room freely and move to a different space. Be particularly mindful of pets that are in cages or enclosed spaces (like birds and small rodents) as they do not have the ability to leave the room if they become uncomfortable. Waiting until topical remedies and skincare products have fully absorbed into your skin before handling your pet. Keeping all product bottles away from your pets. Keeping diffusers and diffusers cords secure, so they won’t get knocked over. The ability to tolerate essential oils is dependent on many factors: what plant species the essential oil is derived from, the product chosen, the dose, and the method of application. Essential oil-use cases show the biggest risk of toxicity comes from direct application on your pet’s skin. These same cases also share that a large volume was applied directly and without a carrier oil to the pet’s skin. Knowing that there is a risk in applying these oils to your pet’s fur or skin, we strongly recommend consulting with your veterinarian or animal care specialist prior to the application of or exposure to any of our products. Using only small amounts of your favourite diffuser blend (1-5 drops at most). Ensuring the space is well ventilated with a window open slightly for fresh air. Always keeping a door open so that your pet can enter and exit the room easily. Taking note of how your pet responds at all times. 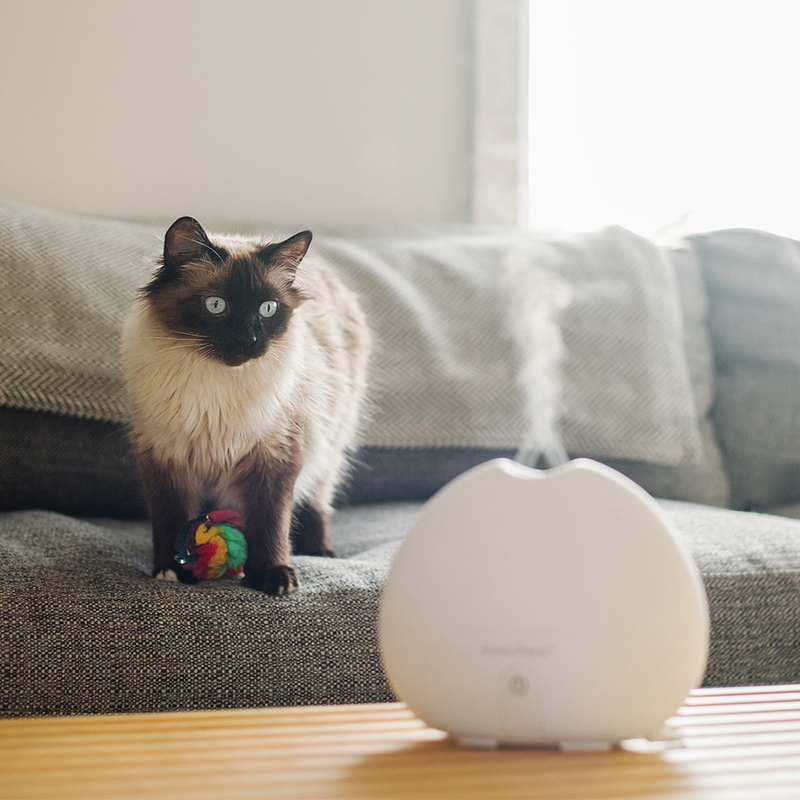 If you notice your pet resisting an aroma, discontinue use and move them to a well-ventilated space right away. Start with 1-5 drops in your diffuser and monitor how your pet responds. As always, if your pet seems distressed, discontinue use and move them to a well-ventilated space immediately. Remember you can reference our full FAQ for answers to specific questions, or connect with us directly. Give us a call or text us at 1 (877) ASK-SAJE (1-877-275-7253), send us a live chat, or email us at hello@saje.com.